The first phone with a display notch was not iPhone X but LG V10 that came in 2015. Display notches are very controversial, but they represent a big step towards the future. The question is— Is display notch a good or bad thing? Display notches are probably the most controversial thing to have ever happened in the smartphone industry. This trend has started with the release of Apple’s iPhone X in late 2017, even though it wasn’t the first device with a notch. We all know how influential the company is, so big changes always attract a lot of attention. Unfortunately, significant revisions aren’t perceived equally by everyone, which means that some people will inevitably be disappointed. Customers tend to choose what they’re already familiar with, and the new device didn’t feel familiar at all. While some people weren’t happy, others have accepted notches as a step towards the future. As a result, they have managed to make their way into the market, with all their pros and cons. 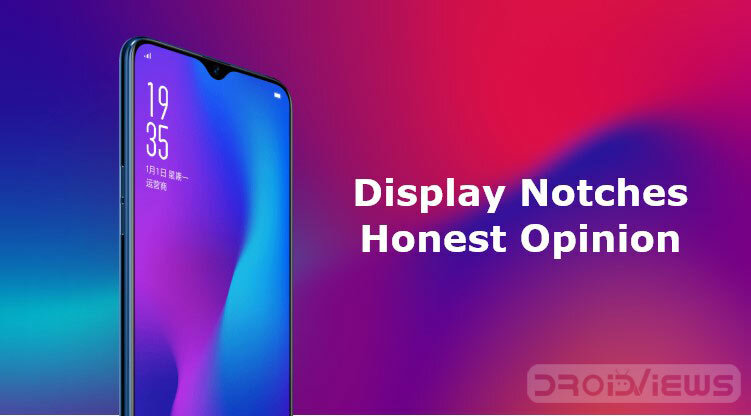 We’ve had some time to get to know them, here are our honest opinions about display notches! In the beginning, we have mentioned that the iPhone X wasn’t the first smartphone to integrate a notch. In fact, by going back to 2015, you may remember that LG has released the V10. This device had a regular display and a secondary one in the camera area. Even though LG has specified that they have used a separate panel, the integration was seamless. Of course, apart from the two front cameras. As a result, we can see the V10 as the first actual smartphone with a notch, even though it was located in a corner. 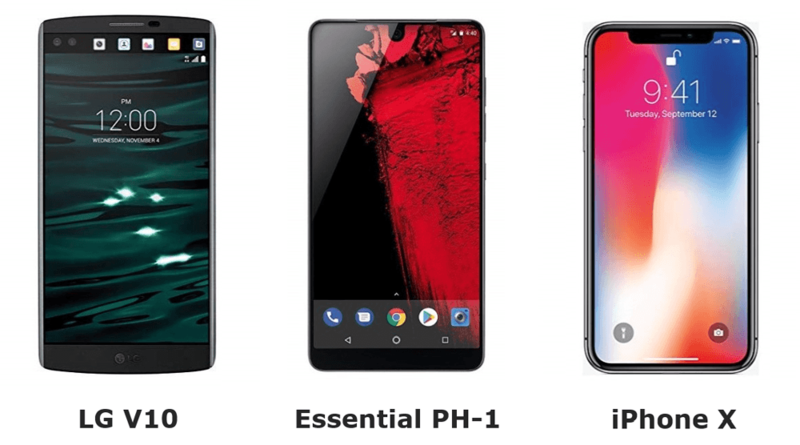 More recently, we have also seen the Essential PH-1. The notch was in the center, just like in newer devices, but it’s among the narrowest ones to this day. Unfortunately, the device came with some major inconveniences related to this design. First of all, the notch was meant to fit inside the status bar, but it was a bit too tall. As a result, the status bar has also been made taller, thus wasting some usable space. Secondly, the notch was meant to reduce the footprint by eliminating bezels, but the device still had a pretty large chin. This is where the iPhone X comes into play. The news has immediately reached a lot of people, and many of them weren’t exactly supportive. The design of this smartphone has been the biggest change since the origins of smartphones, so the reaction was predictable. Given the influence that Apple has over the market, other manufacturers have decided to follow the nascent trend. Display notches were considered impractical from one side, but futuristic from the other side. However, not all display notches are created equal. Let’s analyze them more in depth. You may also like: PPI vs DPI: What Are They and What’s the Difference? Is Display Notch a Good or Bad Thing? When we think about display notches, we’re usually concerned about the experience. We cannot deny that it steals usable space from the display, but how bad is it? To be honest, the answer depends on the device you’re coming from. In fact, the new 18:9 (or 2:1) aspect ratio has recently replaced the previous 16:9 one. As a result, displays are now noticeably taller, so there’s more room for the content. Even though not all new devices have adopted it, what’s important is that those with a display notch did. If you’re used to a 16:9 aspect ratio, the usable space will be pretty much the same. You will feel like it’s not the notch cutting into your display, but instead, it’s the display extending into the top bezel. On top of that, the status bar is now located in the notch area, so it doesn’t steal additional space. If you’re coming from a regular 18:9 display, you may notice that there is a bit less available surface. It’s not a deal breaker in most situations, but you need to keep it in mind. Display notches are fairly easy to get used to, because the OS is designed to accommodate them as good as possible. Since, as we have mentioned, they’re a part of the status bar, they shouldn’t interfere with regular usage. However, they may become a problem when you’re planning to view some full-screen content. While you won’t have any issues with apps developed by Google or the manufacturer itself, third-party ones may bring to some complications. No matter how well something is implemented or how functional it is, the design cannot be neglected. Since the goal should be creating a device without any frames or notches, it’s important to start reducing these elements to the minimum. Apple has done an astonishing job with last year’s iPhone X and this year’s new models. They wanted to reduce the overall footprint without sacrificing display size, and that’s exactly what they did. In fact, the frame is as thin as technology allows, and its thickness is consistent all around the display. This last one is a very impressive achievement, and it’s yet to be replicated by others. The main problem is that every display requires some control electronics and circuits in order to function. If we consider a flat panel, these components will necessarily be located on one side of the panel itself. The way Apple has overcome the obstacle is by folding the display at the bottom and placing the electronics behind the panel. Unfortunately, the process is very expensive, which refrains the expansion to other manufacturers. As a result, most of today’s Android smartphones come with a fairly pronounced chin. While the lack of investments in display technology has compromised the form factor, a lot of work has been put into the notches themselves. Even though most manufacturers take inspiration from the iPhone X layout and design, some of them have managed to make display notches a lot smaller. Additionally, some companies such as OnePlus, Oppo, and Vivo have decided to take this concept a step further with the teardrop-shaped notches. Of course, this doesn’t apply to all manufacturers. For example, Google’s Pixel 3 XL, which shouldn’t have followed the trend at all, now has one of the largest notches of any device. Unfortunately, there might be some issues when it comes to third-party apps. Whenever an app runs in full-screen mode, there’s a possibility for the notch to obstruct relevant elements. More and more apps receive updates with notch support all the time, so this shouldn’t be a huge problem. However, it’s something to keep in mind whenever you’re downloading an app, which hasn’t been updated in a while. While app support can improve, there’s not much to do when it comes to media content. Most photos won’t be a problem unless you zoom in since their aspect ratio is generally 4:3 or 16:9. However, you’ll most likely want to enjoy widescreen videos, and this is where the notch has the biggest impact. You can definitely get used to it, but you cannot deny it’s there. The only alternative is zooming out and not using that part of the display. If you frequently watch videos, this is something you need to keep in mind. Notches aren’t here to stay forever, that’s for sure. We can rather see them as a transition element, which represents a step toward better solutions. The goal is creating devices, which use every part of their surface as a display, without wasting space. Bigger displays are great, considering how capable our smartphones have become, and smaller form factors make them easier to use. In this regard, manufacturers want to make us a part of these big changes happening in the mobile industry. For the moment, display notches are necessary in order to get as close as possible to the next milestone. The main reasons they’re there is because it’s currently very hard to relocate the front-facing camera and the other sensors. 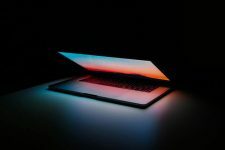 It’s not something users would have ever asked for, but people who support the development are those who will allow the creation of better technologies in the future. To conclude, let’s see some real examples of devices, which give you a hint about how next smartphones may look like. We have mentioned that the main reason why notches are necessary, is because of the camera and the sensors. However, some companies are already ahead of the game with innovative solutions for this problem. This kind of experimentation is awesome because it helps in understanding what customers like and what they don’t. At the same time, it encourages thinking about new and better technologies to bring us closer to our goal. The first device we wanted to talk about is the Vivo NEX. This smartphone has a small chin at the bottom, but apart from that, the front part looks very clean. In order to achieve it, the company has integrated a motorized pop-up camera, which hides inside the frame. 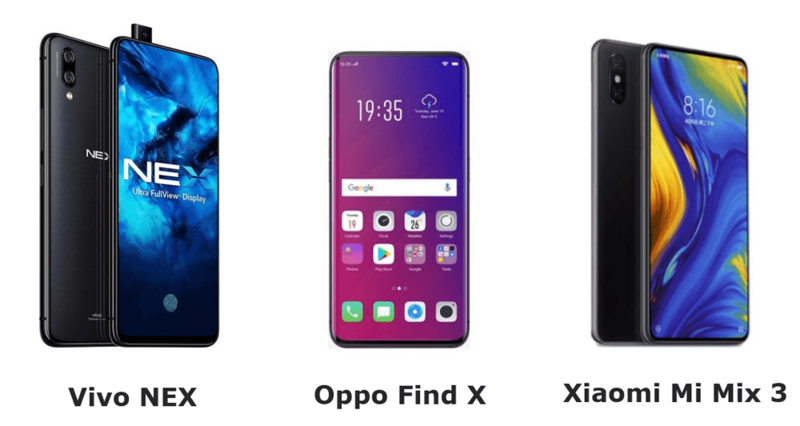 Secondly, we have the Oppo Find X. The bezels here are extremely thin and symmetrical, which results in a remarkable design. In order to keep it as clean as possible, the company has decided to place all cameras and sensors in a motorized compartment, so the back looks awesome, too. The last in our list, we have the most recent Xiaomi Mi Mix 3. The concept is very similar to the previous two, with the difference that the sliding mechanism has to be operated manually. This not only improves the build quality but should also ensure better durability.